What is a Vermont Non-Disclosure Agreement? 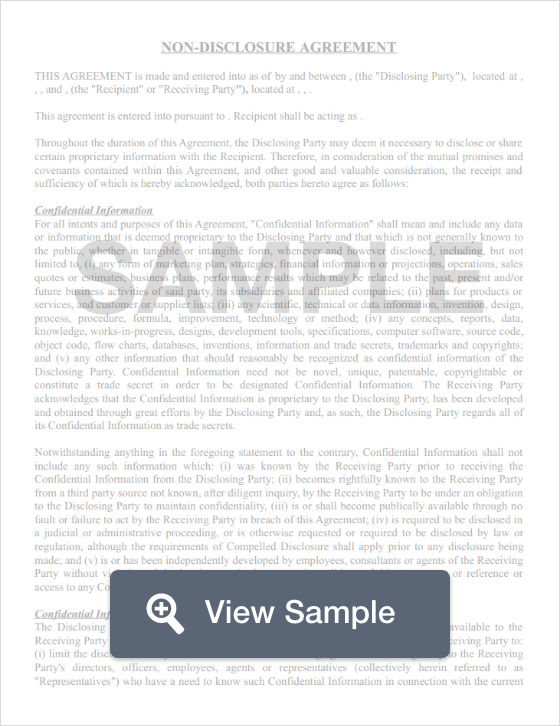 Vermont Non-Disclosure Agreement: What Is It? A Vermont non-disclosure agreement is designed to protect business and trade secrets. However, under state law a Vermont non-disclosure agreement cannot be required as a condition of employment. Trade secrets and non-disclosure agreements are regulated by 9 V.S.A. §§ 4601 through 4609. Because a Vermont non-disclosure agreement is meant to protect trade secrets, it’s important for businesses to understand how the term “trade secret” is defined by 9 V.S.A § 4601 as information such as a formula, pattern, compilation of information, program, device, method, technique, or process with its own actual or potential economic worth. This worth occurs because the information isn’t readily known or ascertainable by others who could then use the information for their benefit. For information that a Vermont business wants to protect as a trade secret, they must take reasonable steps to keep that information private. Vermont’s trade secrets law also provides information on what sort of damages that a business may be entitled to receive if the NDA is violated. For better protection, use an NDA along with a Vermont noncompete agreement.